Any experienced player can figure out when he has an advantage , particularly a big advantage. A master knows when his advantage is big enough . Enough to win. When a position is that good, a master knows that he doesn't have to look for elaborate plans or to calculate risk-taking variations. He should be able to win with relatively simple moves, especially one-move and two-move threats, and simple precautions to eliminate counterplay. Winnability How does a master assess winnability? 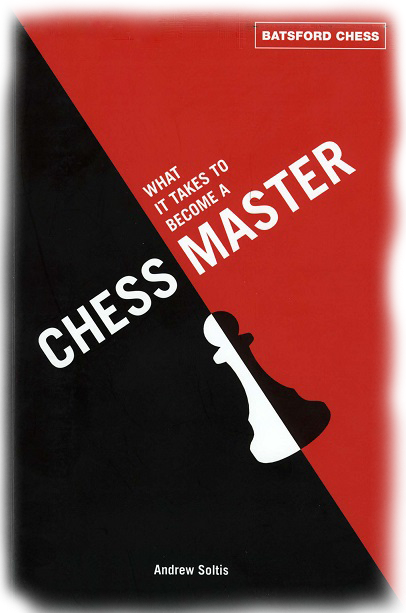 There are several factors including (a) the material situation, (b) the positional plusses and (c) how close the position is to an endgame. If it's pretty close - so that a trade of one pair of pieces will reach a bookish endgame position - then experience or textbook learning should give you a fa irly accurate evaluation. This is where knowing basic endgame principles will count. Another important factor in assessing whether a position is favorable enough is simply whether you can imagine how it would be won. But 'imagine' isn 't the right word. Imagination has little to do with it. It's a matter of visualizing a plan. There 's a golden rule about converting an advantage that most non-masters don 't appreciate. They don 't appreciate it because they simply don 't believe it: It is usually easier to win with a substantial positional advantage than with an equally substantial material advantage. Amateurs don 't believe it because they exaggerate the significance of material . After all, they can see an extra pawn . A positional advantage is harder to detect. As a result they have a difficult time believing the ru le in positions like the following. There are many, many examples of that: A passed pawn - a positional advantage - turns out to be superior to an extra pawn - a material advantage. Yet the golden rule is difficult for many amateurs to accept. Part of the reason is that they 're confused by the somewhat vague, somewhat imposing word 'positional '. If we replaced it with 'non-material ' they 'd have an easier time grasping positions like the following. When material is not equal but only slightly out of balance, positional advantages usual ly decide the outcome. This is most evident when a player gives up the Exchange for one or two pawns. If it's a difference of one pawn, the player with the rook is marginally ahead. If it's two pawns, the other player holds an equally small edge. In either case, the edge may not be enough to win without positional plusses. Few people understood that better than the sixth world champion, Mikhail Botvinnik. Opposite colored bi shop-vs .-bis hop endings This works best with positions in which one side has an extra pawn on the other wing, typically the queenside. If all the pawns are on the kingside, the hierarchy changes slightly. Knight-vs .-bishop moves higher up the list and bi shop-vs. -knight moves well down. Relatively inexperienced players are unaware of the hierarchy. This is true even of young, highly rated players . During a session of the U.S. Chess School a few years ago, eight promising youngsters were asked to evaluate the winning chances of some of these matchups. They were given a slightly different example, with all the pawns on one wing : Suppose all the pawns were on the kingside, with one player having pawns on the e-, f- g-, and h-files, and the other player having pawns just on the f- , g­and h- files. What are the winning chances, from zero to 1 00 percent, for each matchup? The youngsters, almost all of whom soon became strong masters, gave varied answers. For example, with just rooks on the board, one student thought the right answer was zero, that is, no chance of winning. Another said the chances were only I 0 percent. The right answer is more like a 30 percent. All but one of the students thought that with same-colored bishops, the pawn-up player had reasonable winning chances, 40 or 50 percent. Their instructor, GM Joel Ben jamin, told them it was really only about 20 percent. And what aboutqueen endings? Three of the eight students thought they offered a 20 or 30 percent chance of winning. It's more like 50 percent. Even many experienced players have an irrational fear of queen endings, for example. Given a choice of what to swap in a pawn-up 'iW+.t-vs.- 'ilf-tlL) ending, they'll trade queens instead of minor pieces. That 's often a blunder.